Theory – without evidence – in response to the fine tuning in this universe that there are other universes – so scientists can claim this universe is not fine tuned. 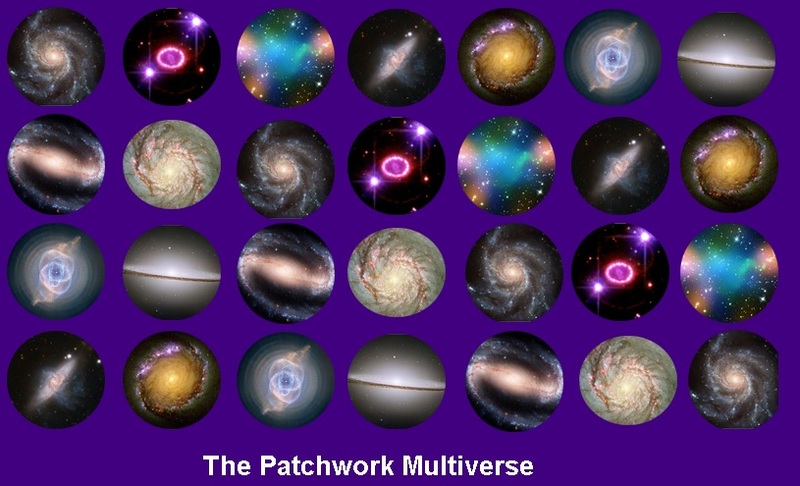 The multiverse – a product of magical thinking. “We have a lot of really, really strange coincidences, and all of these coincidences are such that they make life possible,” [physicist Andrei] Linde says. Call it a fluke, a mystery, a miracle. Or call it the biggest problem in physics. Short of invoking a benevolent creator, many physicists see only one possible explanation: Our universe may be but one of perhaps infinitely many universes in an inconceivably vast multi­verse. Non-believers will likely consider the above scripture irrelevant and unpersuasive and will ponder the wisdom of starting an article on the multiverse with a verse of scripture. In so doing they will have confirmed the scripture (blind to spiritual truths) while setting up my two points: First – this is not merely a discussion of physics – but of metaphysics. (Metaphysics being those things that lie beyond the realm of observable physical reality and so strictly speaking, are beyond the realm of the questions that physics can answer.) 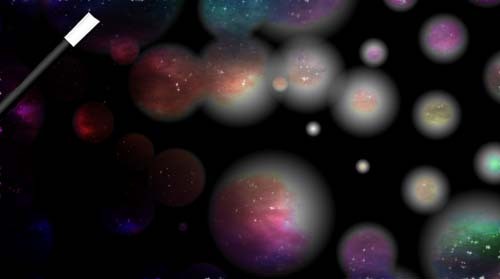 Second, not only is the multiverse “pure metaphysics” as Christian apologist William Lane Craig puts it, but many scientists seem blind to the fact that they are engaging in metaphysics – not physics – when proposing the multiverse as a “scientific” answer to a number of the problems their theories have. They have fallen into the same error that philosopher of science and apologist John Lennox chides theoretical physicist Stephen Hawking for: engaging in metaphysics while failing to recognize he is doing so. Some scientists need to be reminded that it’s ill-advised to count your aliens before they’re discovered. 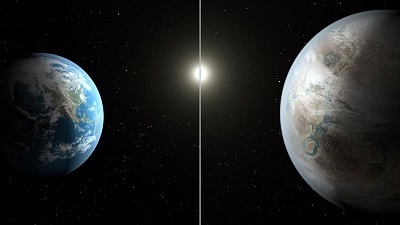 Artist conception of Kepler-452b with Earth for size comparison. Clouds, continents and oceans depicted on Kepler-452b are included though there is no evidence for them. 2. You’re arguing from a scientific theory that flies in the face of the established laws of science. The object for today’s lesson will be Jeff Schweitzer’s article in the Huffington Post, “Earth 2.0: Bad News for God“. 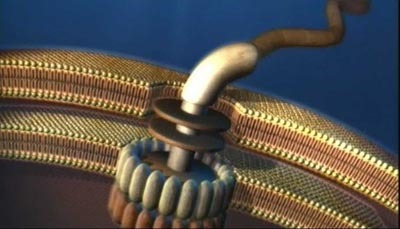 Schweitzer makes a number of mistakes common to scientists and others trying to debunk the Genesis account of origins. We’ll use his mistakes to identify these common errors so 1. You’re aware these are not unique earth shattering questions, they’ve all been handled before, and 2. You can more easily identify them, and respond appropriately when next you see them. We’ll look first at the problem with his whole approach and in the process answer his objections. Schweitzer believes he has mounted a serious challenge to the Genesis account. He’s seriously mistaken. Most people believe scientists are objective, impartial promoters of the truth – whatever the truth turns out to be – because that is the image scientists have projected since the dawn of the modern scientific age. That couldn’t be further from the truth. Exhibit one: an example of a scientists who is biased and has obvious preferences as to what the truth is: Schweitzer himself. Schweitzer can’t hide his obvious glee at the mere prospect of proving Bible believers wrong. One’s bias is of critical importance because it determines not only what evidence will be accepted3 but also the a-priori assumptions use in interpreting the evidence. For instance some look at the Grand Canyon and see a little bit of water acting over a long period of time (millions of years). Others see a lot of water (as in a world wide flood) acting over a short period of time. Same evidence, but a-priori assumptions determine how the evidence is interpreted. Clearly such assumptions are critical to one’s approach to both science and life. 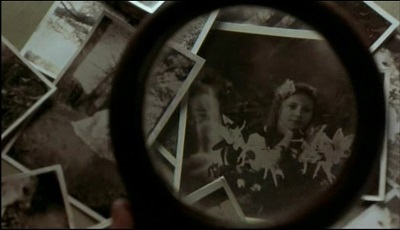 A picture supposedly of a fairies dancing before a young girl is examined for authenticity in a scene from “FairyTale: A True Story“ Cosmologists faced with the difficult problems of the fine tuning of the universe and the origin of the singularity have resorted to the fairy tale of a “multiverse” to save a materialistic worldview. In 1917 in Cottingley, England, 16 and 9 year old cousins Elsie Write and Frances Griffiths believed in fairies and wanted others to believe too. As evidence they produced pictures (viewable here) of what they purported to be real live fairies. By today’s photoshop and CGI standards, the fairies in the pictures appear to be simplistic two dimensional hand colored drawings. But a photo expert of the day declared the negatives had not been tampered with, and the pictures caught the eye of writer Sir Arthur Conan Doyle, creator of famed fictional detective Sherlock Holmes. Less widely known is Doyle was a believer in the paranormal1, and his beliefs included the existence of fairies. Doyle took the photographs as authentic. “Fine-tuning” refers to various features of the universe that are necessary conditions for the existence of complex life. 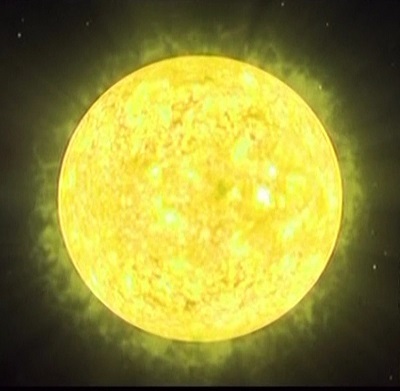 Such features include the initial conditions and “brute facts” of the universe as a whole, the laws of nature or the numerical constants present in those laws (such as the gravitational force constant), and local features of habitable planets (such as a planet’s distance from its host star). In that article Richards, who prefers to take a conservative approach to fine tuning parameters, lists 21 features of the cosmos that are fine tuned. (As opposed to 200 as the number of parameters that Metaxas cites as finely tuned in his popular article.7) Richard’s conclusion: the universe is fine tuned and thus designed.